Newcastle boss Rafael Benitez has drawn a veil over another frustrating transfer window as he turns his attention to Saturday's Premier League opener at home to Tottenham. Asked if the club's limited transfer spending would mean another fight against relegation, Benitez said: "Even doing everything, whatever you want to do, right or not, we have to fight. The Premier League is so competitive, you have to fight and it will be difficult. "But the main thing for me - and you have to realise that this is what I have to do - is to be sure I bring the best from our players. The way to do that is to focus on football. "We have finished the transfer window, now is the time to think about Tottenham, which is a very difficult game." Tottenham made history by becoming the first team not to sign a single player since the summer transfer window was introduced, but Mauricio Pochettino is not overly concerned by the lack of transfer activity. The Argentine joined Harry Kane in signing a new long-term contract as the club embarks on a new era at their new 62,062-capacity stadium, and Spurs have also kept hold of Danny Rose, Mousa Dembele and Toby Alderweireld. 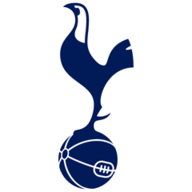 Pochettino expects the trio to now give their all to Tottenham's attempts to mount a title bid. He said: "We're 25 players all fighting to help the team. That's the most important - the commitment. "But as I said before, not for one day, not for one week, not for one month. It's the end of the transfer window and we need players with full commitment until the transfer window opens. "If after one month, we have players who give up, are difficult to manage, it's difficult to create a good atmosphere in the training sessions. "If we want to win, make the club and our fans proud, it's about being professional, fighting for your teammate, yourself, your club and being the best. In six months, when the window opens, we can find a solution." 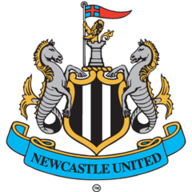 Newcastle could be without Mohamed Diame, who is fighting to overcome a hip injury, but Martin Dubravka (groin) is expected to be passed fit. Defender Fabian Schar and midfielder Ki Sung-yueng - as well as Salomon Rondon and Yoshinori Muto - could feature at St James' Park. At St James' Park, Newcastle have lost three of their last four league clashes with Spurs, with that win coming via their 5-1 win on the final day of the 2015-16 season. Spurs have only failed to score in one of their last 25 Premier League meetings with Newcastle - a 0-1 home defeat in November 2013. This is a tough one. This was an early game last year, and Spurs got a couple of late goals, but I feel they'll find it hard due to the World Cup. Spurs just haven't got their players back. Rafa Benitez will make them hard to beat. Spurs won't have the goals early on so Newcastle will hold on this year. I'm going for a goalless draw.